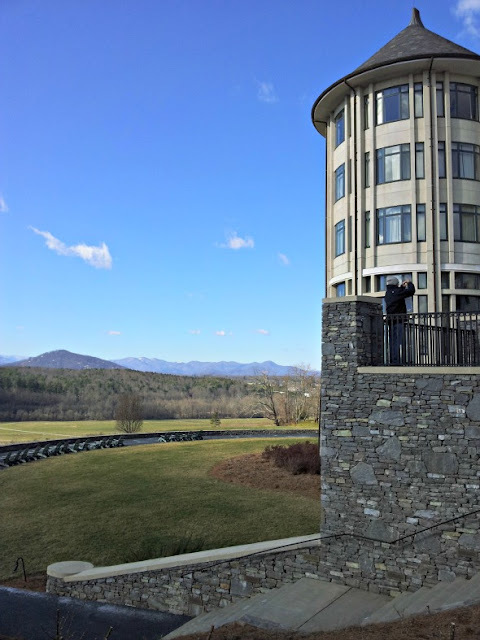 Hines-Sight Blog: Pack Your Bags: A Traveler’s Look at the Inn on Biltmore in Asheville, N.C. Pack Your Bags: A Traveler’s Look at the Inn on Biltmore in Asheville, N.C. Location. Location. Location. There is just something special about staying on property of the Biltmore Estate in Asheville, N.C. In fact, it’s downright spectacular. 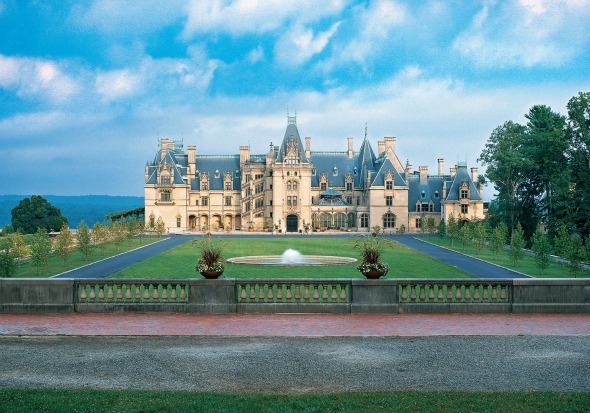 I’ve been a guest at the Inn on Biltmore twice now. 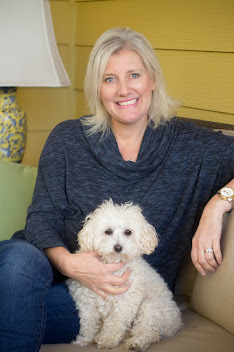 The first time was in 2009 during my last trimester of pregnancy with my daughter before I even started this blog, and, most recently, I took my entire family in February. 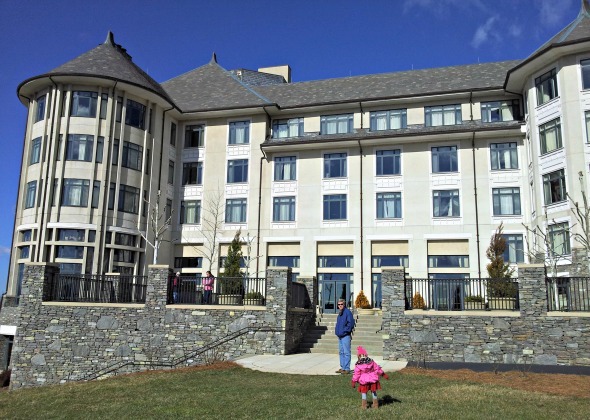 The Inn on Biltmore is about five miles away from the Biltmore House. You can see the home from this terrace. 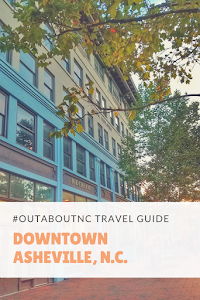 No question, the Inn on Biltmore exudes romance, and I personally prefer it as a couple’s retreat, but it certainly puts out the welcome mat for families, too. 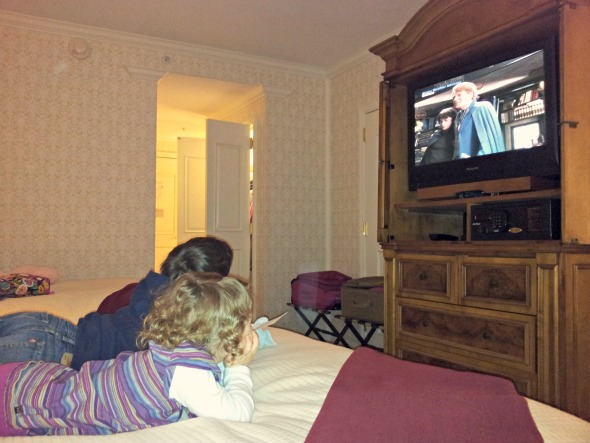 If you have an unlimited budget, then a suite at the Inn may be the option for you when traveling with your family. It will give you the space that families sometimes need and crave, though it’s costly. At a quick glance, two nights in a suite can run $1,800 to $4,000 or more, depending on the suite and time of your visit. We stayed in a deluxe double room for two nights, which is a more affordable option for families. Our room was elegant and suited our family’s needs for a short two-night stay. The rooms are decorated in rich ivories with a burgundy accent, which is the main color of George Vanderbilt’s own bedroom in the 250-room French Chateau, Biltmore. The bathrooms are spacious and luxurious, and they complement the elegance of the room. The makeup mirror is a nice touch, and I love it when hotels provide scales. Yes, I torture myself and get on them. Guests are continuously supplied complimentary water and amenities for coffee and tea in your room. 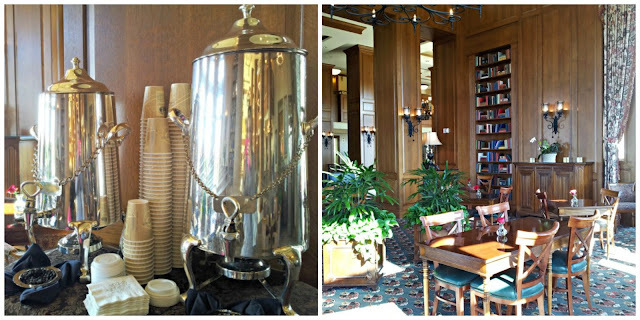 Every morning in the Library Lounge of the Inn, guests can prepare a complimentary cup of coffee or tea, and wait for the morning shuttle to take them around the Estate. To me, this is the best part of staying on the 8,000-acre estate. 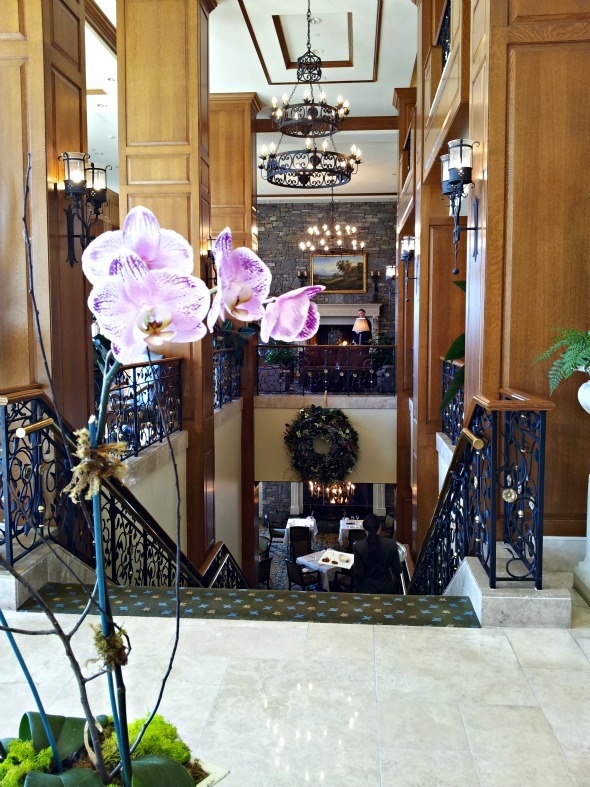 You truly feel as if you are a guest of George Vanderbilt, just like his guests felt over 100 years ago. Once you park your car, it can stay parked, and you are shuttled around the estate like royalty. As you probably have noticed from past “Pack Your Bags,” my family has a hard time making breakfast before 10 a.m. in the morning. We are just lazy people on vacation. I give the kids cereal bars, make several cups of coffee in the room, eat a few almonds, tweet a little, and then we usually eat an early lunch. This is what we did on our second day in Asheville. 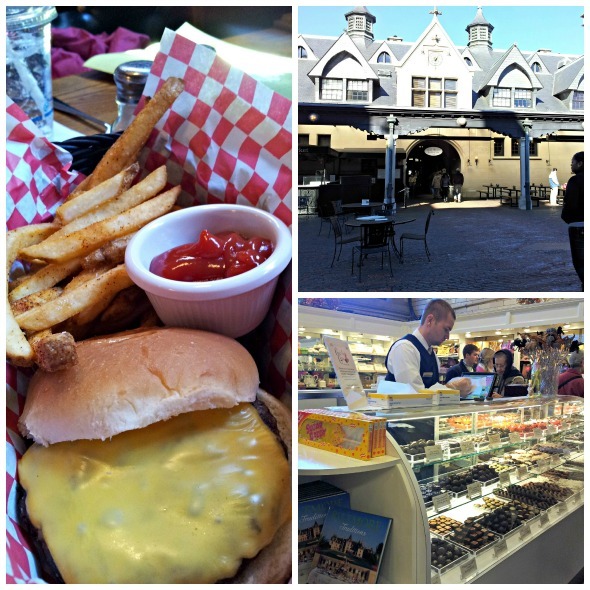 We headed straight to the Stable Café adjacent to the Biltmore House for an early lunch. There were many things that I didn’t get to experience at the Inn on this trip, such as afternoon tea and the spa. It just gives me another excuse to go back. 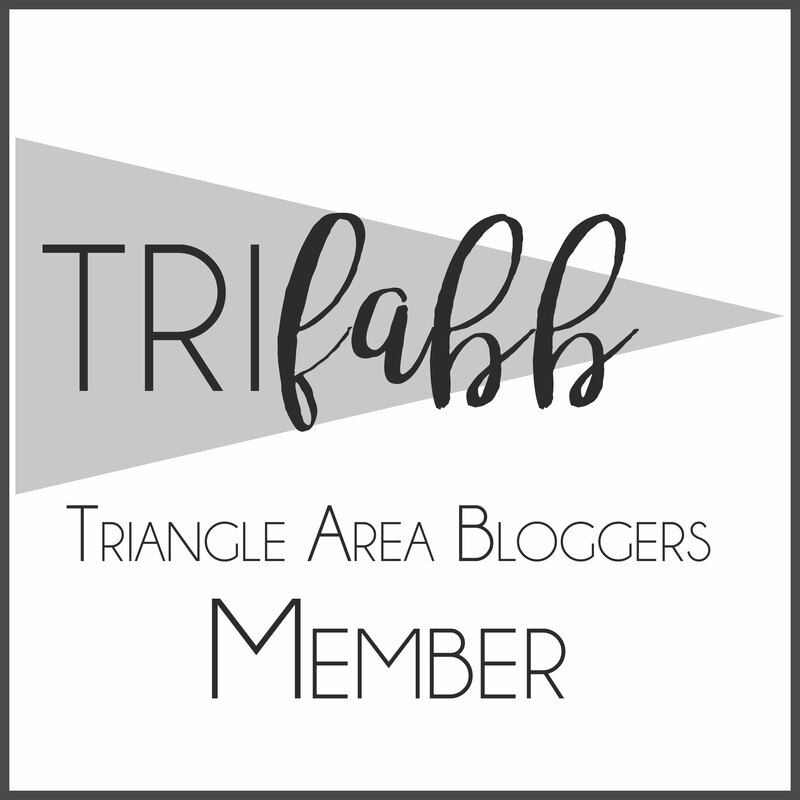 With just 48 hours on the estate, we spent our time on this trip touring the house, the winery, and Antler Farm for my features on Skimbaco Lifestyle. We did, however, enjoy dinner in the Inn’s Library Lounge one night. I have always been a fan of the cuisine served on the Estate. In fact, one of my all-time favorite meals was served on the Inn veranda when my husband and I visited in the summer of 2009. The Library is one of my favorite rooms in the Inn. 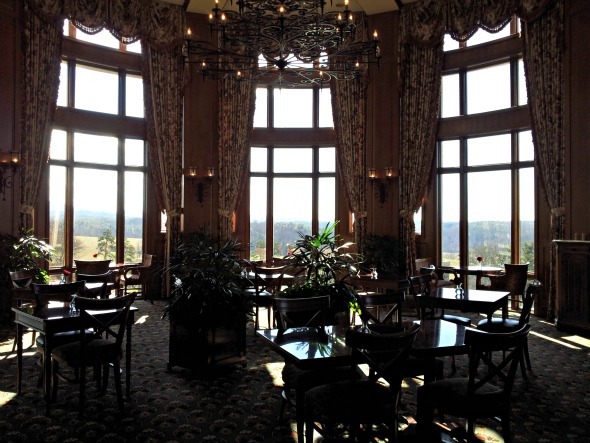 The huge windows overlook the mountains and the Biltmore estate. 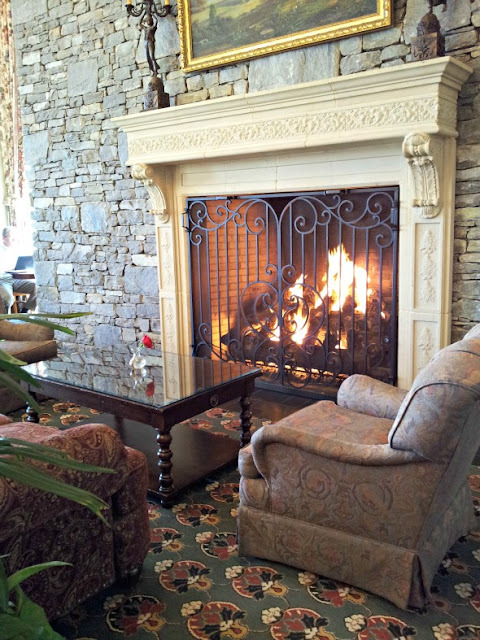 The Inn fireplace is impressive. The Library Lounge is the type of place where you want to enjoy a drink with your spouse, forget all of your obligations, and leave your kids at home. Our kids were with us, though, and we were the only ones that evening dining with children in the casual restaurant. It was also later than we normally eat, but we didn’t check in to the Inn until almost 6 p.m. because my son had a final basketball game the day we left for Asheville. 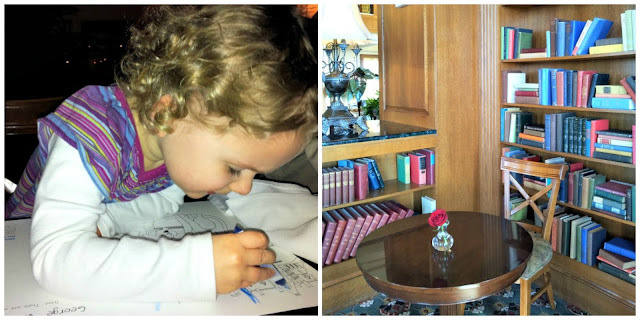 Staff welcomed my children by giving them a Biltmore Estate coloring book and crayons, and somehow my daughter managed to charm some of the other guests dining in the restaurant by doing a little impromptu ballet to the piano music. I don’t think the other couples minded my children at all. However, I did have to remind my two to lower their voices a couple of times. The children’s menu at the Inn is more expensive than the other restaurants on the Estate, but it is expansive from a child’s filet for $22 to a grilled cheese for $10. Once again, I am extremely impressed with the dining we experienced on this trip, and all our meals on the estate were divine. Hats off to the chefs! 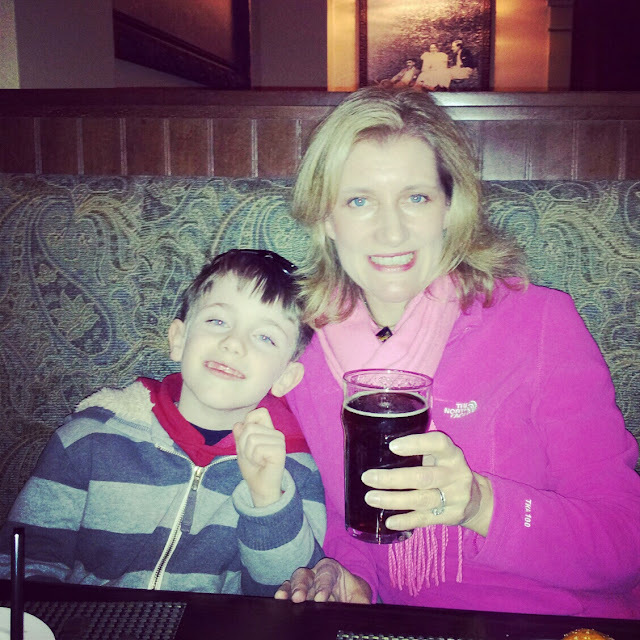 We also dined at Cedric’s Tavern one evening, and my son and husband continue to rave about the fish and chips. Traveling with kids is never as relaxing as traveling with a spouse. This is why I still prefer a couple’s experience at the Inn. There is more space in your room with two as opposed to four, even though my kids are small. My daughter kicked me out of the double bed I was sharing with her at 6 a.m. and yelled, “Get out of here, Lady!” Charming, isn’t she? Just keeping it real for you. Ideally, as a couple, I would stay three or four days at the Inn and really soak up the amenities that the Estate offers. With cozy nooks and amazing views, it is a place where you want to hang out for a while and soak up the atmosphere. Kids don’t like to hang out. They want to be on the go. 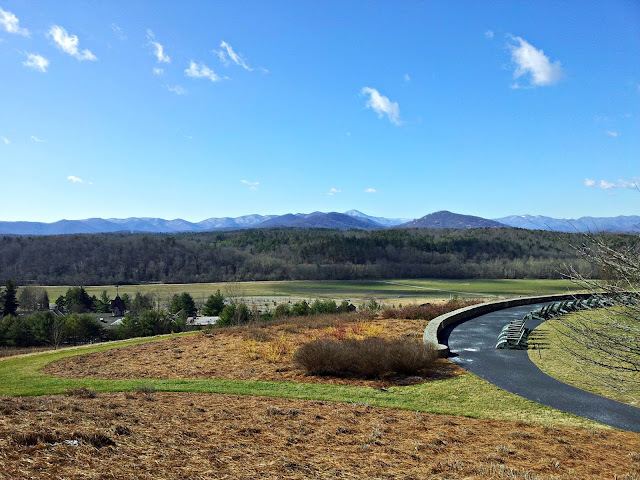 Staying on property at the Biltmore Estate for families is expensive compared to other places in Asheville, but the experience is like none other. It would be the perfect base to explore all the outdoor amenities that the Estate offers its guests, such as rafting, hiking, fishing, and biking. In the summer, the Inn has a great pool overlooking the mountains. I want to do all of these things, too, as my kids get older, so I definitely would stay on property again with my children. If you are planning a trip to the Estate and can’t decide whether to stay on property or off property, I recommend experiencing a stay behind the gates. It’s worth the splurge. Room-only rates for a room like ours begin at $259 during the week. 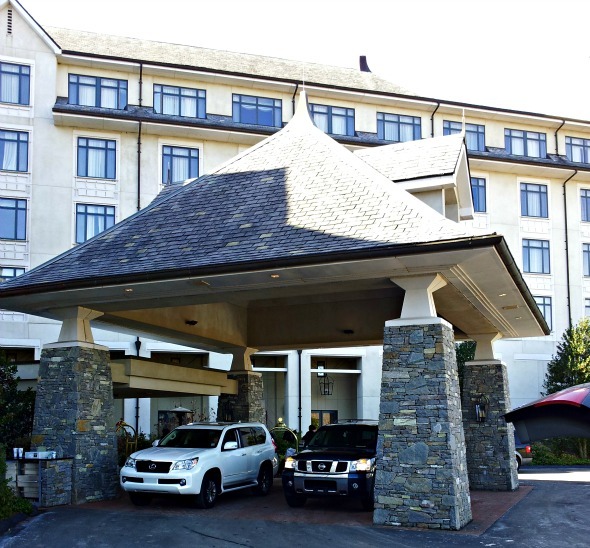 Check Biltmore.com for packages for a family of four that includes audio Estate tickets, chef’s breakfast, and complimentary valet parking. Biltmore's Festival of Flowers will continue through May 31. I personally think the summer is a great time to visit, too. 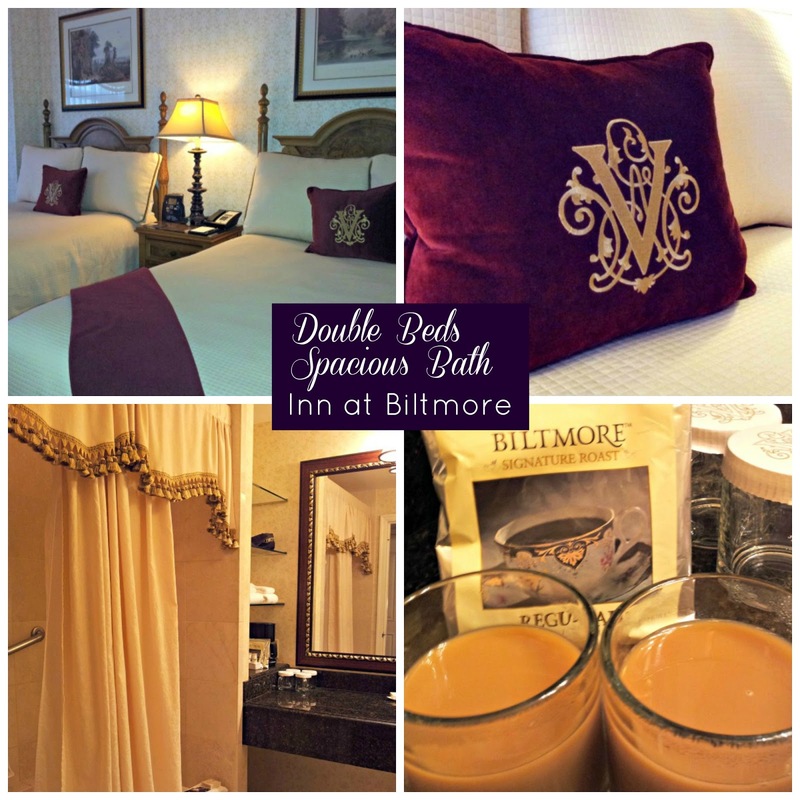 Be sure to check out my series on the Biltmore. 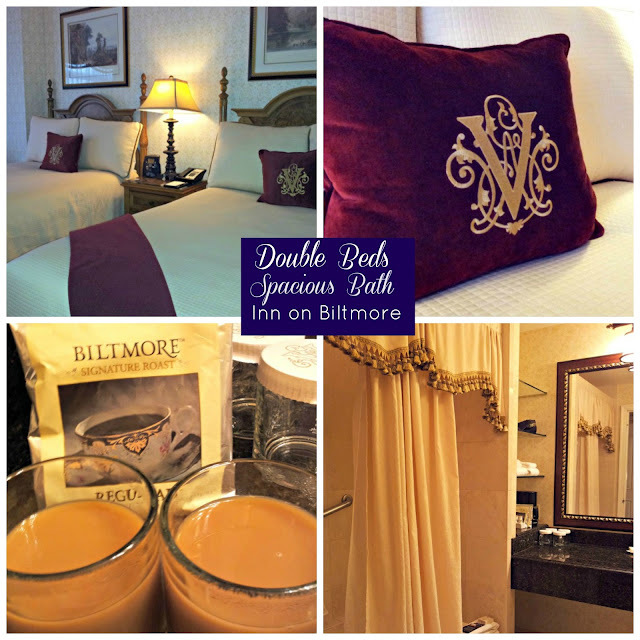 Disclosure: While covering the Biltmore Estate, I received free admission to the Estate, a complimentary rate for one night at the Inn, and additional nights at a special rate. All food costs were my own.